We were unable to find any news report on the killings of environmental defenders in Vietnam, Laos, and East Timor. Thus, the figures are conservative since we were only able to document cases that have reached the English-speaking sphere. 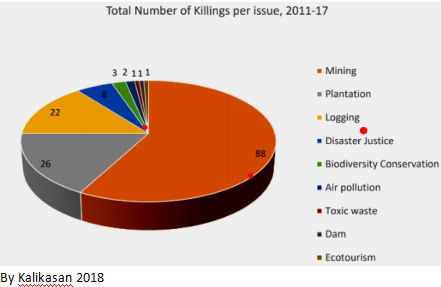 It is surprising that Indonesia, an archipelagic country like the Philippines, just as rich in minerals, biodiversity, indigenous people, and forests, has a surprisingly fewer reported killings of environmental defenders, even lower than Thailand. The number of recent killings of environmental defenders in Indonesia’s restive, resource-rich West Papua province has yet to be accounted for because of the travel restrictions imposed there by the Indonesian government. 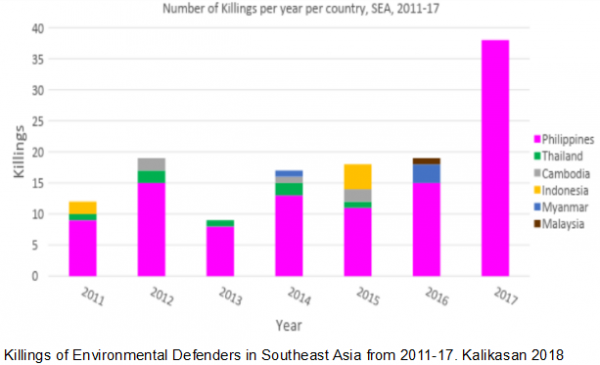 Myanmar, Laos, Thailand, and Vietnam are ruled by military and authoritarian regimes, resulting in more difficult open reporting and investigation of killings of environment defenders than in the Philippines. The language barrier is also a challenge. 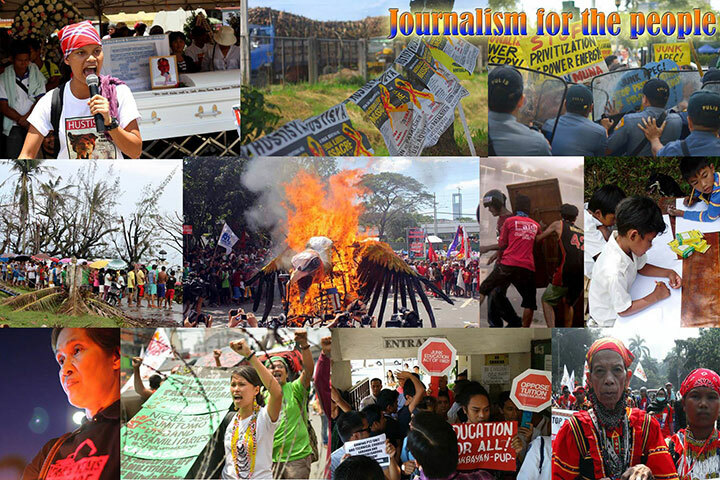 Unlike in the Philippines, most of the media and local organizations in countries in Southeast Asia do not post reports in English, hence, any report of killings of an environmental defender may go unnoticed by the international community. 1. Sombath Somphone of Laos, a sustainable agriculture advocate. 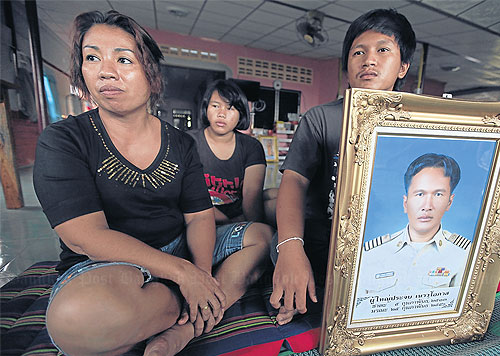 He was disappeared by suspected Laotian armed forces in 2012. He has yet to be found to this day. 2. 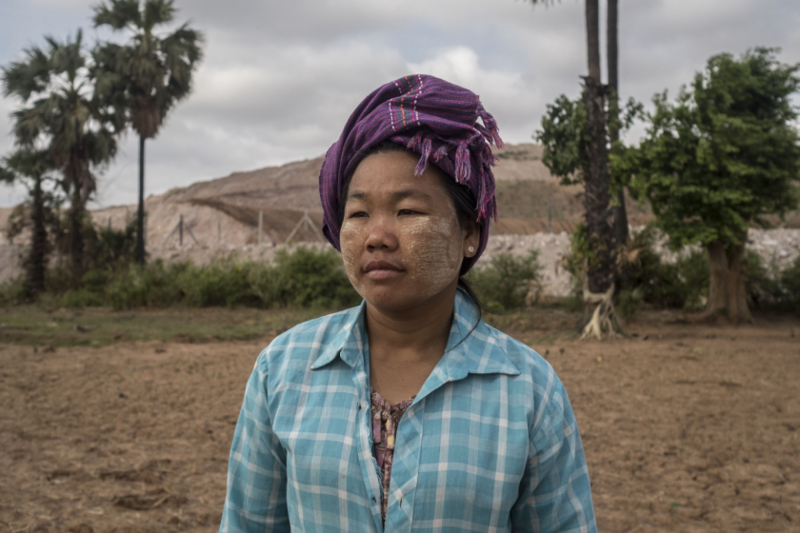 Thwe Thwe Win, an activist opposed to the operations of the Letpadaung mine in Myanmar. In 2016, she was run over by a Chinese truck driver who works for the mining company. She survived the attack. 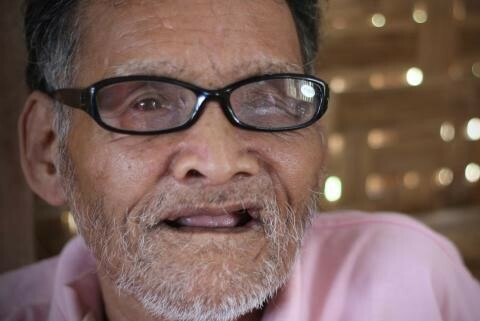 In December 2014, 28 monks who joined a protest against the same mine project suffered burns from incendiary phosphorus hurled at them by the Burmese police. 3. Phan Sopheak, peasant member of an anti-illegal logging network in a community in Cambodia. Machete-wielding illegal loggers attacked her in March 2016. She survived the attack. 4. 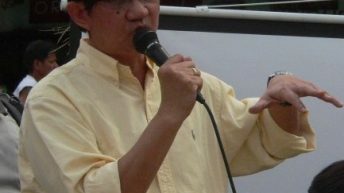 Le My Hanh, Vietnamese environmental activist. She was assaulted by thugs believed to have been hired by Vietnamese police in April 2017. Le was involved in the campaign to hold Taiwan-owned Formosa Ha Tinh Steel Corporation accountable for a toxic spill that occurred offshore in Vietnam in April 2016. The Philippines remains as the most dangerous country for environmental defenders in Asia. Under the administration of Philippine President Rodrigo Duterte, human rights violations including attacks against environmental defenders have become more frequent. 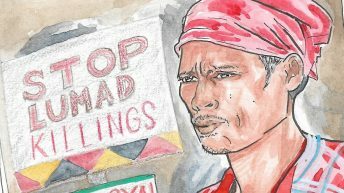 Amid the rising authoritarianism of the Duterte regime, Kalikasan has monitored as of June 2018 at least 58 cases of killings of environmental defenders, 66 environmental defenders in illegal detention, and 240 environmental defenders slapped with trumped-up charges since the start of Duterte’s administration in July 2016. This, on top of the almost a million people displaced by the government’s militarization of resource-rich, rural areas. Mining opponents comprise 55 percent of killed environmental defenders in the country. 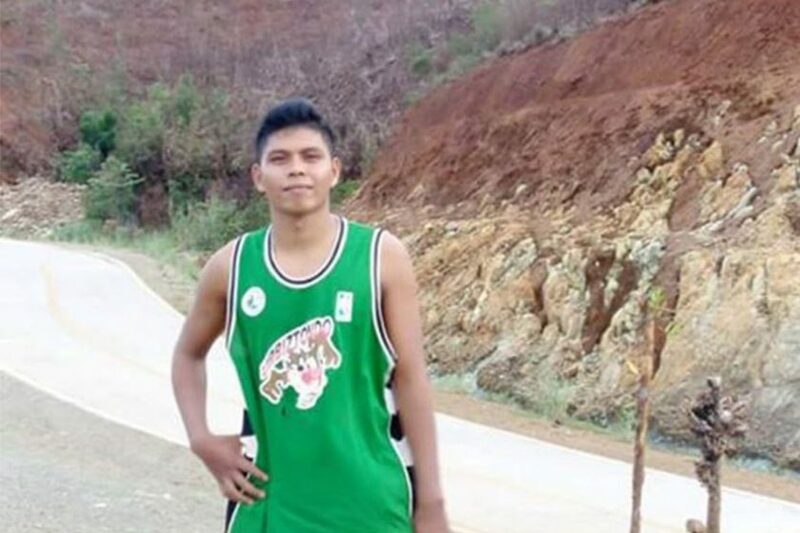 More mining opponents are being killed in the Philippines compared to the 30 percent of all environmental defenders worldwide who were killed as a result of their anti-mining advocacy. Impunity and injustice remain. Not a single mastermind of the killings has ever been convicted by the Philippine justice system. 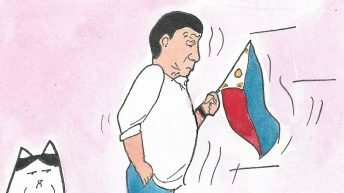 On May 27, 2016, President Duterte declared martial law in Mindanao, home to more than 24 million Filipinos, Lumad (indigenous people), and the Muslim Moro people. The region hosts some of the country’s richest forests and mineralized areas. The government used the attack led by a small ISIS-inspired group in the Mindanao city of Marawi as a pretext to declare all Martial Law in Mindanao. If government figures are to be believed, there were at least 1,132 deaths in the five-month war, a figure that was not verified independently by third-party organizations. Nevertheless, attacks against the people of Mindanao, even those outside of Marawi, have also intensified in the same period. More than 60 percent of the killings of environmental defenders under the Duterte regime happened in Mindanao. On February 22, 2018, the Philippine Department of Justice (DOJ) filed a petition to the local courts listing more than 600 individuals as terrorists. Fifty-two (52) of these individuals are known activists and civil society representatives. Included in the list is UN Special Rapporteur on Indigenous People Victoria Tauli Corpuz. 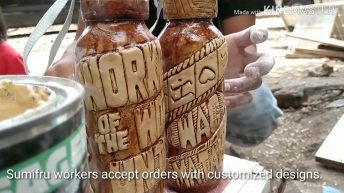 Environmental advocates such as Sherwin de Vera, Zara Alvarez, Arnold Baes, and several others are also on the list. These individuals are accused of being a member of the revolutionary group Communist Party of the Philippines (CPP) and its armed wing, the New People’s Army (NPA), which has been fighting the government for the last fifty years. The government has had a bloody history of liquidating any person accused of being a member or sympathizer of the revolutionary group. The inclusion of environmental defenders in the ‘terror’ list poses security risks for them and their families. On April 16, 2018, Australian missionary Sister Patricia Fox who is serving the poor in the Philippines for more than 27 years, was illegally arrested by the Bureau of Immigration for “attending protest rallies and engaging in political activities,” which is being forbidden by an archaic immigration law still in force. Sr. Fox is a human rights defender and development worker who is active in opposing land-grabbing of private corporations and big landlords in the Philippines, as well as commiserating with Lumads displaced by extractives-associated militarization in their communities. As the regime cracks down on activists and environmental defenders, on the other hand, it provides protection to companies and their environmentally-destructive projects. Military and economic interests are still strongly interlinked in the Philippines. 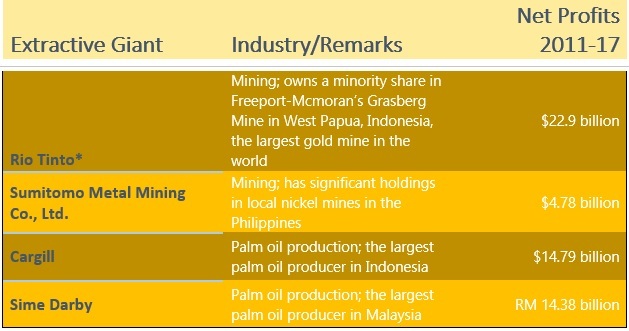 The government has the Investment Defense Force where regular military forces are deployed to secure investment projects in the country that are tagged as ‘priority’ or ‘vital to national interest’ such as large-scale mining operations, agricultural plantations, mega dam construction, and big eco-tourism projects. 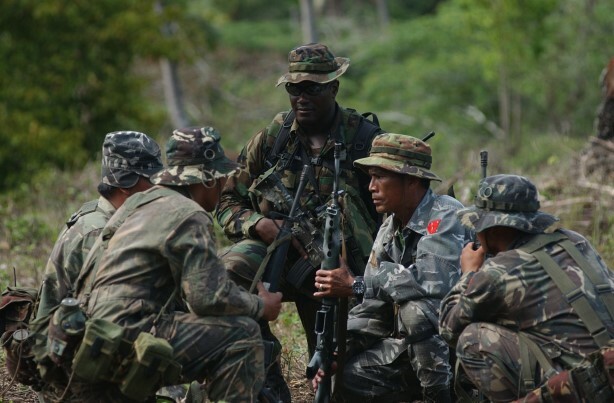 Government paramilitaries called Special Civilian Armed Forces Geographical Units (SCAA) can also serve as additional security forces of private corporations. Based on the monitoring of Kalikasan, 69 percent, or an overwhelming majority of the suspected perpetrators in the killings of environmental defenders in the Philippines, were from the state military and paramilitary forces. All of these — militarization, terrorist tagging, harassments, extra-judicial killings are believed to be sanctioned under the government counter-insurgency program Oplan Kapayapaan. The privatization of land, water, energy, and mineral deposits and the liberalization of state policies to attract investment in mining, energy, and agriculture institutionalize the commodification of the natural resources of poor countries in Asia. These globalization policies resulted in corporate ownership and control of these supposed public commons. Instead of using these resources to provide for the needs and help in developing the economy of poor Asian nations, private corporations control and exploit the land, water, minerals, and forests to produce cheap raw materials which would then be exported for the international market. In this set-up, transnational corporations (TNCs) benefit the most from the billions of dollars of annual profit from exploiting the rich resources in the Asian region, at the expense of the environment and the people’s welfare. 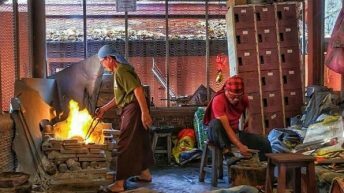 Chinese-owned Myanmar Wanbao Mining Ltd. which runs the controversial Letpadaung mine with a corporation owned by the Burmese military raked in $11.7 million in profits in 2015. The national governments are some of the main proponents of policies in the region seeking easy entry of foreign capital and operation of TNCs into their countries, following the dictum of globalization. These economic and resource policies allow private corporations to seize tens of millions of hectares of land and offshore marine areas with impunity. At the same time, pro-investor international mechanisms like the International Court for Investment Dispute (ICSID) of the World Bank, allows private corporations to sue national governments if they rescind project agreements or intervene in their business operations. The proliferation of military regimes, authoritarian rulers, and inept and corrupt regimes in the region enable TNCs to freely destroy the environment for profit. These present a challenge for environmental defenders as these regimes tend to persecute and crush opposition to projects tied to corporate interests. Under the pretext of supposed threats to national security, these regimes impose emergency rule or martial law in their country to suppress people’s opposition to environmentally-destructive projects and policies. They deny the people their basic human rights such as the freedom of speech and the right to organize. They militarize the civilian bureaucracy with retired military generals and officers and institutionalize surveillance mechanisms which impinge on the people’s right to privacy. 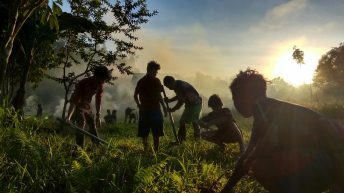 However, amid these overwhelming challenges to environmental advocacy, various civil society and people’s organizations across the region still exert their effort to uphold the people’s right to a healthful ecology. In the Philippines and in India the most vibrant and strongest people’s movements in the world can be found. There are inspirational campaigns which show how communities successfully thwarted plunderous projects of big corporations. 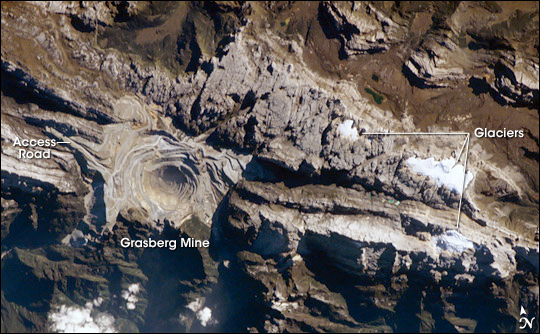 In the Indian states of Orissa and Tamil Nadu, communities forced global mining Vedanta to halt their destructive mining and dirty coal power plant, respectively. Another giant, Glencore was forced out of the Philippines because of the stiff resistance of indigenous peoples and peasants. In Southeast Asia, people’s movement against tyrannical government and military juntas are growing stronger each day. International solidarity networks and regional coordination efforts are also strengthening and ongoing. Last November 2017, Kalikasan, International People’s Conference on Mining (IPCM), International People’s Movement for Self-Determination and Liberation (IPMSDL), Center for Environmental Concerns (CEC), and several regional organizations conducted a series of regional workshops and conferences to have a stronger unity and collective action on the issue of human rights violations among environmental defenders. That same period, 49 organizations from 10 countries participated in the Workshop on Energy and Extractive Industries in the Southeast Asia Region under the ASEAN People’s Forum 2017 which was held in the Philippines. The workshop discussed the lessons of civil society organizations across various countries in Asia in confronting the issues of human rights and environmental protection against plunderous extractive and dirty energy projects. These efforts were followed by a workshop in Bangkok last March 2018 at the Asia-Pacific People’s Forum on Sustainable Development. This forum was attended by more than 60 organizations which committed to uniting to form a regional network and to formulate a regional campaign. 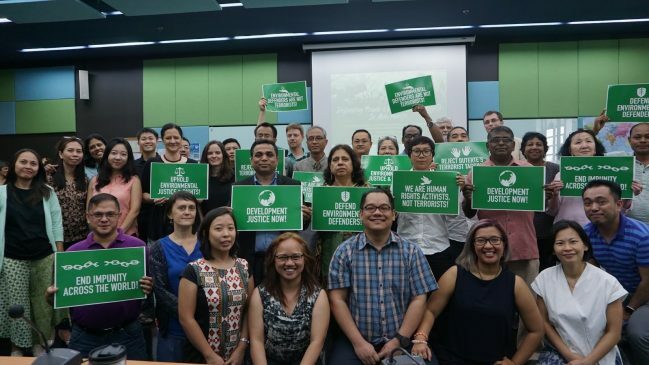 Last June 2018, the Southeast Asian Press Alliance (SEAPA) and Internews conducted a regional conference attended by environmentalists and media professionals. Next month, the Forest Defenders Conference being organized by civil society group Not1More will be held in Thailand. All of these are part and parcel of the Asian and Southeast Asian people’s movement in strengthening their international solidarity and their respective collective campaigns for the defense of the rights of environmental defenders, for the conservation of our natural resources, and for the defense of our environment.